The Catholic Church will officially recognise the sainthood of Pope Paul VI and Oscar Romero, Archbishop of San Salvador, who was martyred as he was celebrating Mass. They will be canonised on 14 October 2018. The ceremony, to be celebrated by Pope Francis, will be in Rome during the month-long meeting of the world Synod of Bishops on young people, from 3 to 28 October. 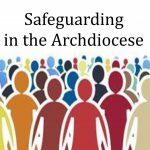 The sainthood causes of five other people – two Italian priests and two women founders of religious orders, one German and one Spanish, as well as an Italian teenager will also take place. They are: Fr Francesco Spinelli of Italy, founder of the Sisters Adorers of the Blessed Sacrament; Fr Vincenzo Romano, who worked with the poor of Naples, Italy, until his death in 1831; Mother Catherine Kasper, the German founder of the religious congregation, the Poor Handmaids of Jesus Christ; and Nazaria Ignacia March Mesa, the Spanish founder of the Congregation of the Missionary Crusaders of the Church. Nunzio Sulprizio was born in 1817, in the Abruzzo region near Pescara. Orphaned as an infant, as a teenager Sulprizio was hospitalised in Naples. The young teen faced tremendous pain with patience and serenity and offered up his sufferings to God. He died in Naples in 1836 at the age of 19. He was declared blessed in 1963 by Blessed Paul VI. Born Giovanni Battista Enrico Antonio Maria Montini in 1897 in the town of Concesio, Italy, the future Pope Paul VI was ordained a priest at the age of 22. He served as Archbishop of Milan prior to his election as Bishop of Rome in 1963. Pope Paul VI led the Catholic Church from 1963 until his death on August 6, 1978. Succeeding John XXIII, Paul VI continued the Second Vatican Council – which he closed in 1965 – implementing its numerous reforms. In 1969 he promulgated a new Roman Missal. He was beatified by Pope Francis on 19 October 2014. Pope Paul VI wanted a Church that was in dialogue with the modern world. He treated the theme of dialogue at length in his encyclical Ecclesiam Suam, released on 6 August 1964. In it, he wrote he felt a ‘vocation’ to dialogue between the Church and the world. Pope Francis has spoken repeatedly about his predecessor. Even though Humanae Vitae has garnered much of the discussion over the legacy of his predecessor, for Pope Francis there’s another document that is ‘the greatest pastoral document written to date’ – Paul VI’s 1975 exhortation on evangelisation, Evangelii Nuntiandi (On Proclaiming the Gospel). ‘The world calls for, and expects from us, simplicity of life, the spirit of prayer, charity towards all, especially towards the lowly and the poor, obedience and humility, detachment and self-sacrifice. Without this mark of holiness, our world will have difficulty in touching the heart of modern man. It risks being vain and sterile,’ Paul VI wrote. Paul will become the third pope that Francis has made a saint since his election. The others are John XXIII, who died in 1963, and John Paul II, who died in 2005. Both were canonised together in 2014. Blessed Óscar Romero y Galdámez, Archbishop of San Salvador. Oscar Romero, who will become the first saint of Central America’s El Salvador, was born on 15 August 1917. The archbishop of the nation’s capital city of San Salvador was gunned down while celebrating Mass in a hospital chapel March 24, 1980. It was the day after telling an army made up largely of peasants that they were killing their own people during the birth of a civil war between leftist guerrilla forces and the dictatorial government of the right. ‘No soldier is obliged to obey an order that is contrary to the will of God,’ he said. 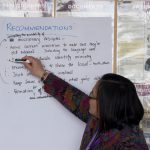 ‘A church that does not provoke any crisis, preach a gospel that does not unsettle, proclaim a word of God that does not get under anyone’s skin or a word of God that does not touch the real sin of the society in which it is being proclaimed: what kind of gospel is that?’ – Blessed Oscar Romero. Archbishop Oscar Romero is a martyr in the tradition of modern Catholic social commitment to a just world order. Romero was killed for speaking and acting against injustice in El Salvador in the context of twisted international politics and economics. The context was the ‘Cold War’ (1949‒1991), a world divided into Eastern and Western ‘blocs’. For the Western world the ‘threat’ of communism, the Berlin Wall, the Vietnam war were all part of this. This East-West division masked deeper questions of ‘North-South’ inequalities in wealth and power. The USA saw Central and South America as its ‘backyard’. Anything questioning US political and economic interests was labelled ‘communist’ and to be suppressed. This led to US-backed military governments repressing rural and urban organisations and leaders. In 1968 the Latin American bishops met in Medellin, Colombia, to apply Vatican II to their continent. They saw that for the previous 500 years the Church had often supported unjust social structures. Wanting to be faithful to Christ, the bishops committed to a preferential option for the poor. This led in some places to clashes with governments and the powerful. Among those who took up the call to be alongside the marginalised was Archbishop Oscar Romero, of San Salvador. Romero was born into a lower middle-class family in a small rural town. Following entry into the seminary he was sent for studies in Rome and ordained in 1942. Romero was a good, steady, prayerful and cautious priest. An able administrator and communicator he worked in these fields in addition to other pastoral work. In 1977 he became secretary to the bishops’ conference and lived in San Salvador’s seminary. There he became friends with Fr Rutilio Grande SJ, a man with very different social and pastoral understandings. During the 1970s the social situation of El Salvador was becoming critical. Most people lived rurally and earned their living from coffee, cotton and sugar. In a time of rising costs, wages (never generous) for farm workers were kept well below the inflation rate. Rural and urban workers organised for better pay and conditions. Police repressed such demonstrations and participants were branded communists by the press. Romero became bishop of Santiago de Maria in 1974 and in 1977 was named Archbishop of San Salvador. He was seen as unthreatening by the powerful families of El Salvador, not questioning the status quo. However Romero was changing. He had seen the terrible situations of farm workers in Santiago de Maria. 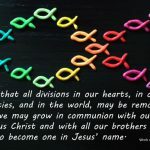 It was a time of national political crisis and division in the Church. Many priests did not want him, and boycotted his installation. Following that ceremony the bishops met with the government concerning some priests who the government had expelled from the country. The government warned about ‘subversive’ priests. Romero’s friend, Rutilio Grande, was probably on that list. Rutilio’s parish work centred on his people’s growth through bible study groups committed to justice. A month after Romero’s installation Rutilio and two companions were assassinated by a death squad while on their way to Saturday evening Mass. Romero went to the village church where the bodies lay, celebrated Mass with the locals, spending the night with them in vigil. It seems to have brought clarity to him for his role. He refused a fine house, living humbly in the grounds of a cancer hospital, spending much time among the poor and in rural villages. He refused to appear at government events until Rutilio’s murder was clarified. As repression and press censorship grew Romero preached powerfully each Sunday about what was happening. The homilies were broadcast nationally and the diocesan radio station was dynamited several times as a consequence. The homilies reflected on the scriptures in the light of current events drawing on Church social teaching including Paul VI’s Evangelii Nuntiandi (1974). Romero set up a legal service to help those whose family members had ‘disappeared’. He sought ways to talk with the government about just policies to avoid a coming civil war. 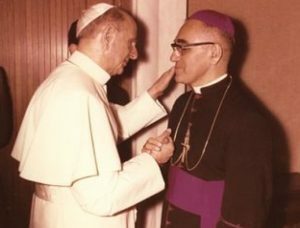 Romero’s fellow bishops mostly turned against him for his stands; a flood of complaints went from the powerful to Rome. As the conflict in the country grew Romero knew he was targeted. In February 1980 he wrote to US president Carter asking the US to stop funding and arming the repressive Salvadorean army. In his last Sunday homily he pleaded with the army not to kill their countrymen, saying they did not have to obey an unjust order. The next day ‒ 24 March 1980 ‒ Romero was shot while celebrating Mass at the small hospital chapel where he lived. Monsignor Gerard Burns, Vicar General for the Archdiocese of Wellington, lived and served in Peru, South America, 1989‒1997.